This part time position (24 hours) promotes a recovery based approach to clients that emphasize hope, respect, self-direction, and empowerment by providing peer support, personal assistance, education on community resources and other supportive services to aid in clients’ recovery from addiction disorders. This position will work directly with clients of the Behavioral Health Program, Project Visions and the Three Fires Support Program. This position will travel to clients residences to do outreach and provide peer support; arranging meeting with clients in the Three Fires Support Program on a weekly basis at a minimum; be able to relate own recovery process in a positive and supportive manner through coaching, role modeling and mentoring in order to assist clients in developing skills to reach their goals; working with clients on a self-developed recovery plan to be shared with relevant parties including Behavioral Health counselors and/or the Individual Plan for Independence (IPI) team; communicating with the Behavioral Health and/or the IPI team regarding clients progress toward recovery plan goals; works with clients to navigate and use community resources in an effective manner; transports clients to and from meeting and appointments as appropriate; provides crisis intervention as needed within scope of recovery practice. High school diploma or equivalent; Recovery Coach certification preferred or agreement to complete certification within one year; must have valid driver’s license and be able to meet the minimum insurance requirements regarding driving record in order to utilize tribal vehicles; must be courteous and punctual; must maintain client confidence and protect operations by keeping information confidential; must be successful in own recovery for a minimum of two years and prepared to share experience and knowledge with others; at least one year recovery coaching experience preferred. Submit completed “Application for Employment” to the Human Resources Department within the Tribal Administration building. 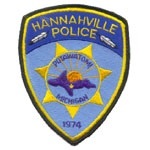 Applications can be downloaded by visiting www.hannahville.net/documents. Mail original with copy of drivers license to Hannahville Indian Community Human Resources, N14911 Hannahville B-1 Road, Wilson, MI 49896. Please no faxes. If application currently on file, and over 60-day limit, a new application must be submitted. Call Human Resources with any questions at 906-466-2932. Employment selection pursuant to Hannahville Indian Community’s Tribal Employment Rights Ordinance Title IV – Chapter 3. Indian Preference.